Kelly Peat: "If you're watching this or anybody knows where she is, just send her home please"
The parents of a 13-year-old girl who has been missing for nearly three days have pleaded with her to get in touch. 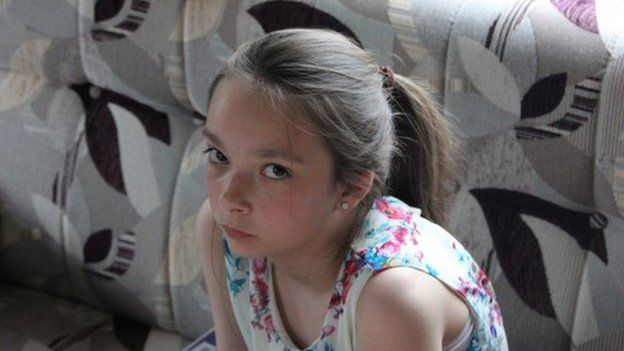 Amber Peat was last seen at home in Mansfield in Nottinghamshire at 17:30 BST on Saturday. 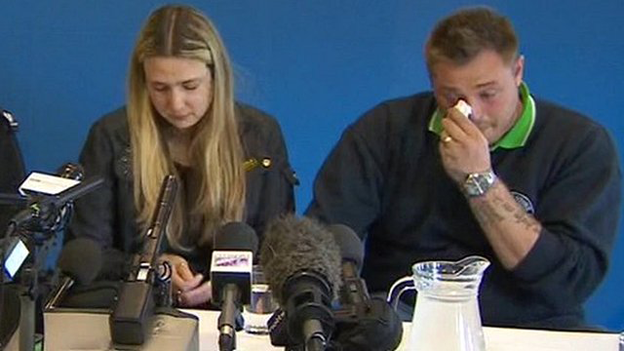 At a press conference, her mother and stepfather said Amber's disappearance, from her home in Bosworth Street, was "completely out of character". Fighting back tears, Kelly and Danny Peat said: "We just want to know she is okay." 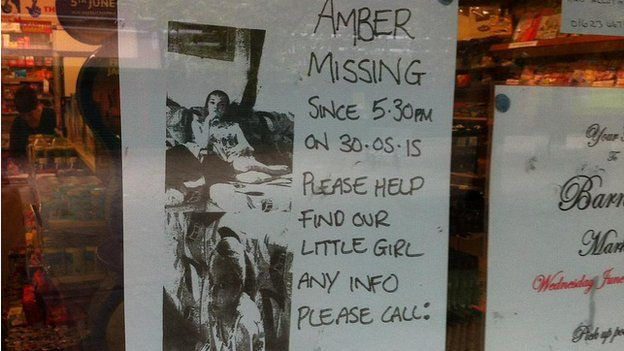 Up to 300 people were involved in a search for Amber on Monday, with posters being placed in many houses and shops. "We just want her, or someone who knows where she is, to get in touch," Mr and Mrs Peat added. 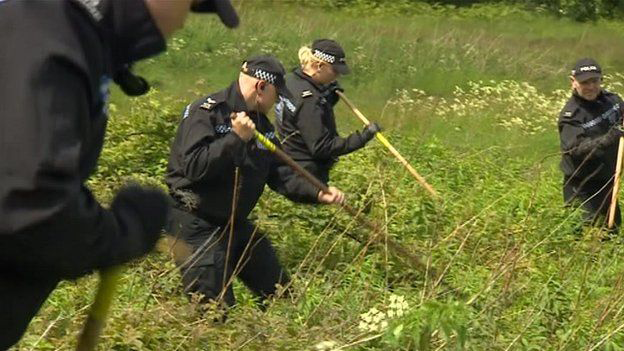 Supt Matthew McFarlane, of Nottinghamshire Police, said they had had few leads in the inquiry, but a "full-scale effort" to find her was under way. He went on: "In the past, she's a young girl, she's been out of the house perhaps for a few hours but never anything like this." Supt McFarlane confirmed they were liaising with colleagues in Scotland, where Amber's natural father lived, but had "no specific information to suggest she had travelled". He also denied online rumours of a 72-hour dare, where children deliberately hid, saying they had "no evidence whatsoever" that was happening in this case. Mr Peat said: "We had just all had a brilliant holiday. It's just not right. "She had a fantastic time, never stopped laughing with all of us together." Mrs Peat said "nothing else happened" that would lead to Amber leaving, apart from a disagreement over chores. She added: "I was upstairs and I heard a door bang. "I went downstairs and she wasn't around, so I looked outside and she was nowhere." They confirmed Amber had left without her mobile phone or any money. Supt McFarlane said: "We've been involved in searching the area, and friends and family have also assisted with that. "We've been speaking to all of her friends, all the inquiries through the school, through family, through anybody who may possibly know or have heard from her over the last three days. "Unfortunately, we're here today because we have not had any confirmed sightings of her."